The recent launch of the 2019 Bicycling Australia Noosa Classic has been warmly received with many riders already signing up for our next Gran Fondo event. To be held in the sub-tropical paradise of the Noosa region over the weekend of August 17/18 this year, participants have the option of three course lengths - the 45km Social Classic, the 120km Challenge Classic and the big one ... the 160km Maxi Classic. 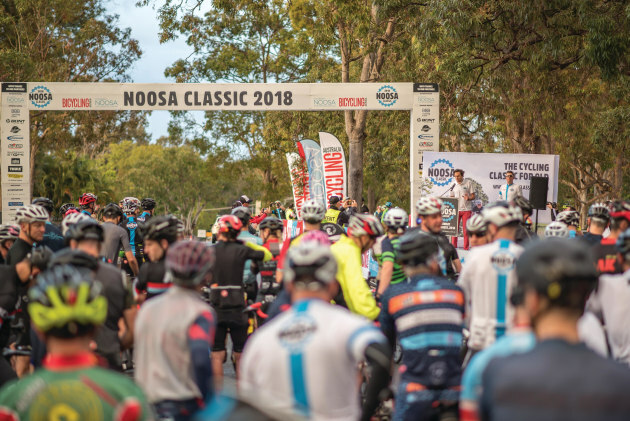 Earlier: Bicycling Australia, Australasia’s leading cycling media brand, have officially launched the second annual Noosa Classic, a thrilling festival of cycling to be held over the weekend of August 17/18 this year. The inaugural Noosa Classic surprised us all with a torrential mid-ride downpour of epic proportions - the region’s first significant rain in 90 days. Determination, camaraderie and smiles prevailed and the event sent social media into a spin. Riders wore the weather like a badge of honour, some even describing it as ‘a true one-day classic'. Regardless of the rain the first Noosa Classic was a declared a unanimous success and a fixture on the national cycling calendar was born. A major coup for the greater Noosa region, more than a third of riders travelled from interstate for the 2018 Noosa Classic with many international participants along with numerous cycling groups making a multi-day to week-long holiday of it. The 2019 Noosa Classic will be bigger and better again, with event organiser James Yaffa praising it as 'world class'. A passionate cyclist himself, James Yaffa said Noosa is simply world class and the event, perfectly positioned in August, makes it the ultimate mid-year break. "Having personally ridden in the 160km Classic last year, it’s certainly one of the most scenic rides in Australia as well as a great challenge, with those fun rolling hills in the heart of the Noosa Hinterland," he said. The Noosa Council thrilled to again be working closely with event organisers. Local Councillor Jess Glasgow is a lifelong resident, keen cyclist and avid supporter of the event. “The inaugural Noosa Classic was a major success and we look forward even more riders to the region this time round,” he said. 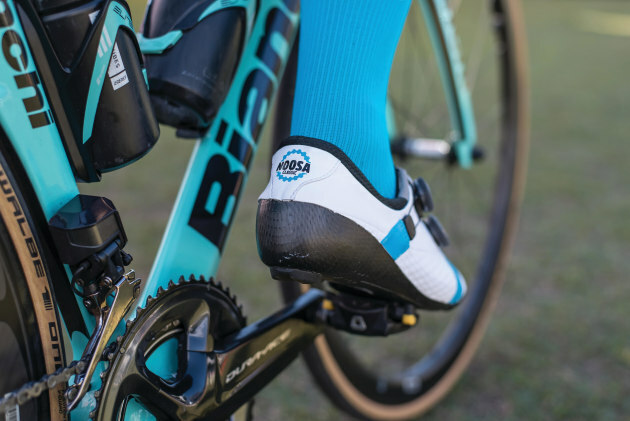 Event organisers are thrilled to also welcome new corporate partners, big names such as Bianchi Australia are now onboard with more exciting partner and sponsor news to be announced soon. The Noosa Classic will again offer three course lengths - 45km, 120km and 160km - with further details released soon. 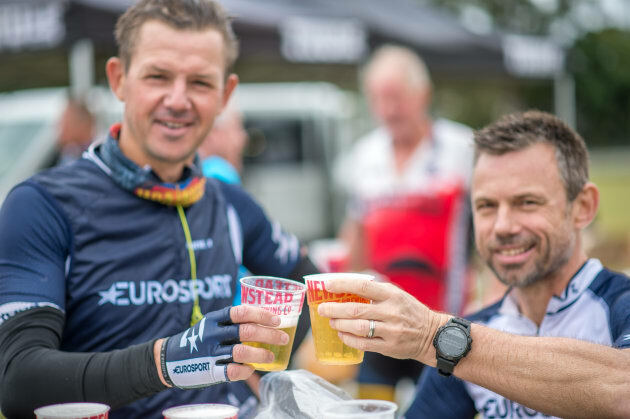 Registrations for the 2019 Noosa Classic are open now. Those who book early will not only save on registration, they will also receive a complimentary event jersey. Register today at www.noosaclassic.com.au. More than a brilliant weekend of cycling, there’s a serious side to the Noosa Classic and that is the charity factor. Bicycling Australia’s Gran Fondo events have collectively generated more than $300,000 for various charity groups and, so far as we're concerned, things are just getting started. The 2019 Noosa Classic will be Bicycling Australia’s 6th Gran Fondo event. We are particularly excited to be returning to Queensland and look forward to seeing you in the sunshine. Noosa Classic, August 18, 2019, we’ll see you in paradise.